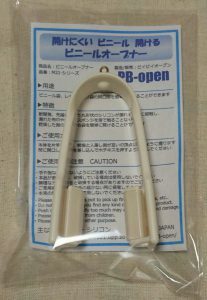 ・Please be careful so as not to pick up fingers and hands, etc..
・Do not use if in casa you find any kind of defect in this product. 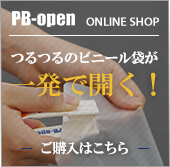 ・Push it by constrainedly too much may cause danger and damage. ・Please keep it always from children. 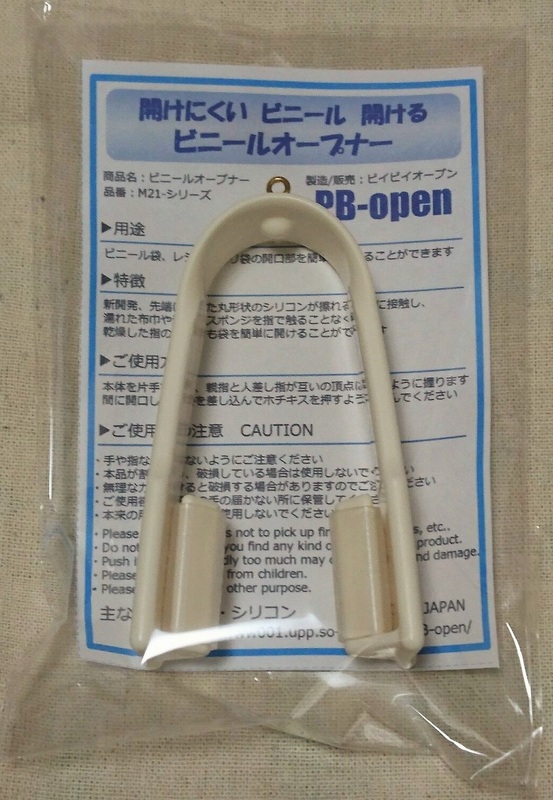 ・Please do not use for other purpose. 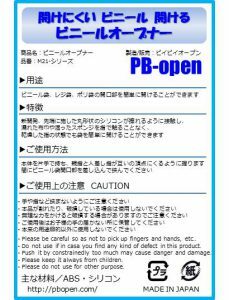 プライバシーポリシー / 特定商取引法に基づく表記 Copyright © 2019 ビニールオープナー工房　PB-open All right Reserved.